There is a huge different between Urban Design and Physical Town and Country Planning. Politically, the former is controlled by Architects while the latter is controlled by Planners. 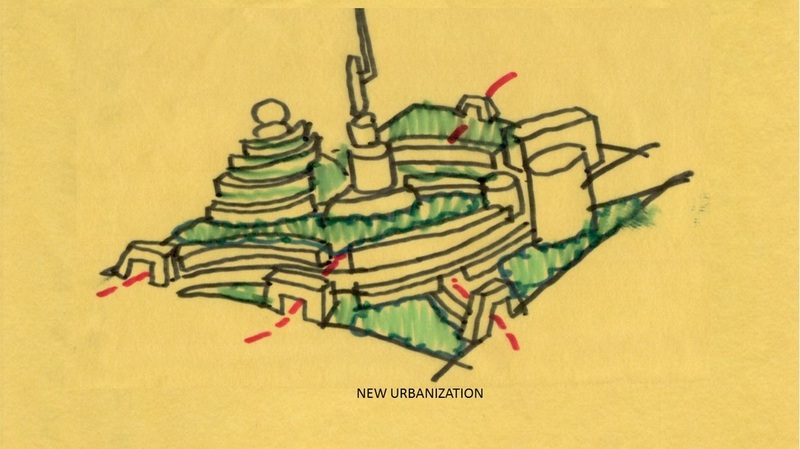 Theoretically, Planning involves zoning of land use while Urban Design involves three dimensional approach to designing cities, neighborhoods and human settlement. 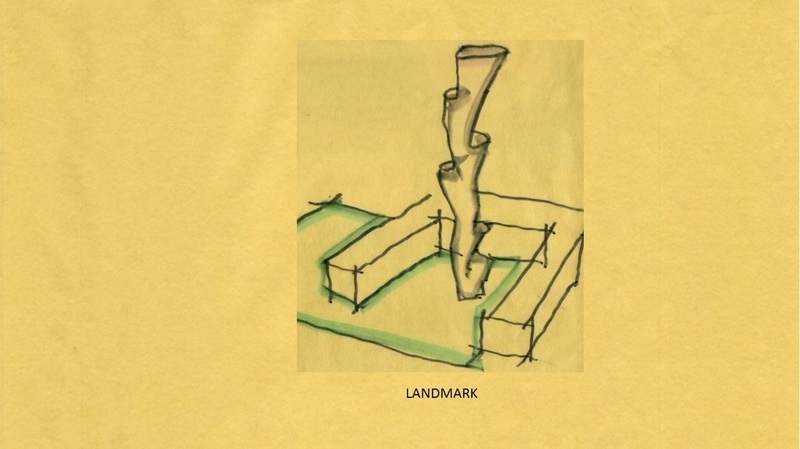 In this context, we investigate how Metachitecture is applied to Urban Design. 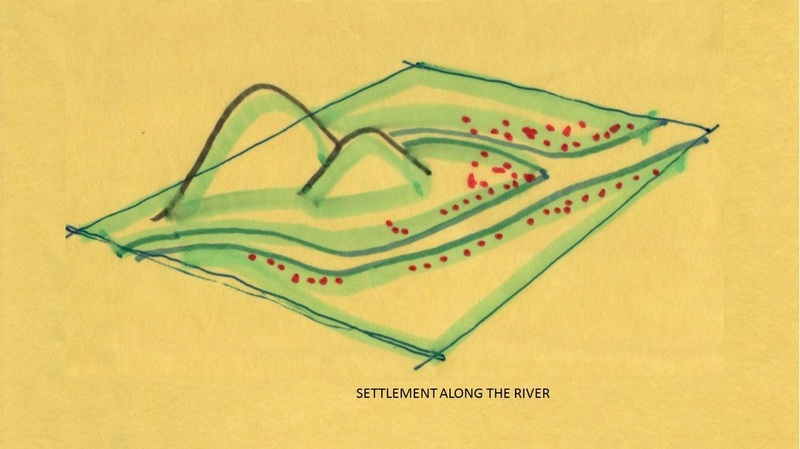 The genesis of human settlement always begin along the river. The rivers are natural "road" allowing people from the inland to barter trade with people from the shore. These commercial activities create human settlement. With commerce, harbor and storage buildings were built by the river mouth. With these structures, more commercial activities take place. More roads leading to the market places are required. Village grows into town and town into city. When the threshold of a city has reached, centralized administration becomes vital. Government buildings, court houses, chamber of commerce and trade offices are by default necessitated to be centralized and yet distance away from the river or the market place due to urban sprawl. With these central administration urban policies step in. Entrance to the cities are called gateway. 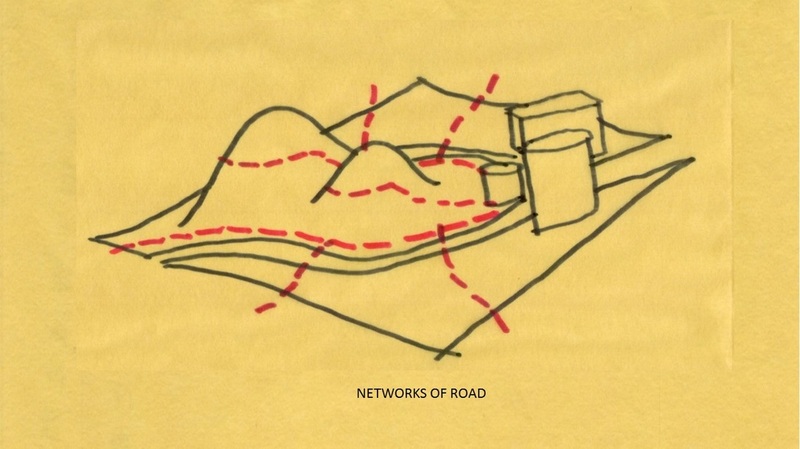 Roads are defined with edge defining building. Plazas are generated out of the market place. Iconic buildings are built as landmark. Parks, avenue, boulevards and gardens define the edge of the precinct, district or neighborhood. This is a manifestation of urban design. 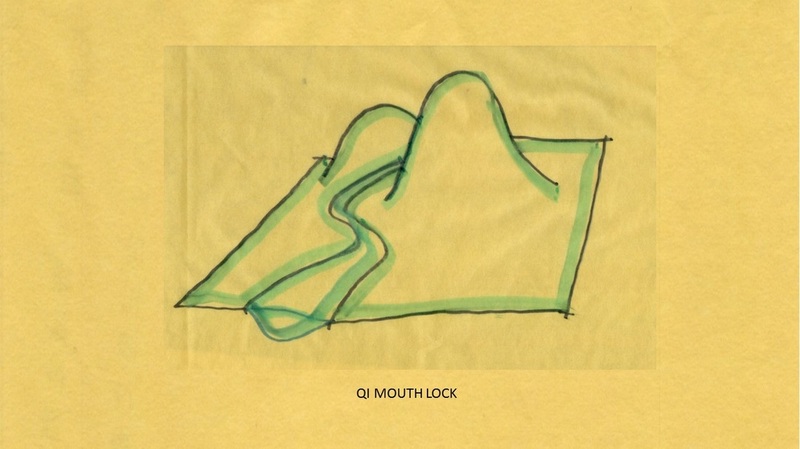 It is interesting to note that the first principle of landform geomancy is to check if the water mouth is locked. Water mouth is construed as the meeting point of 2 rivers or the lowest level of the landform where water purge out into the sea. Locking means, you are not able to see the confluence of two rivers. It can meant locked by natural mountain or building. When the water mouth is locked, Qi is retained and the place will prosper. Matching the 6 urban design factors with its associated geomantic principles, one is able to design a successful urban setting without fail. District defines a boundary of the settlement. 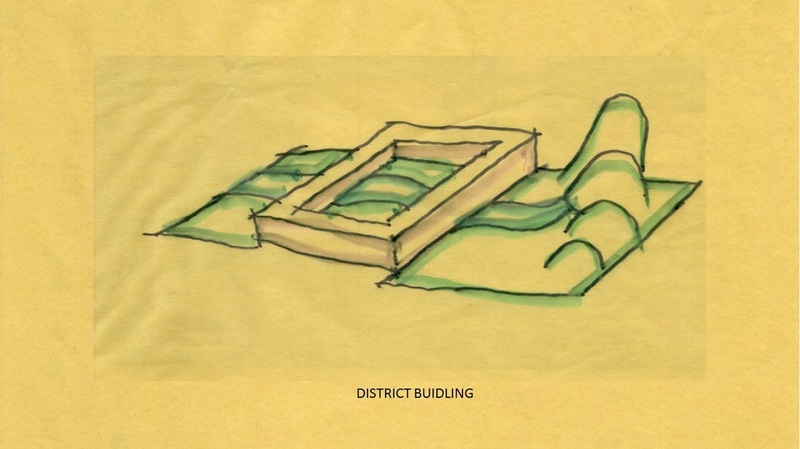 It creates a defensible space within a neighborhood, a precinct or simply a district. Its boundary is usually defines by the land formation such as the river or the mountain range. A good urban design takes into account the identity of the place through the treatment of the district. A district is similar to a concept in geomancy science called the boundary of the TaiQi. This concept determines the location of the central TaiQi spot. Without this reference, all geomancy rule cannot be applied. 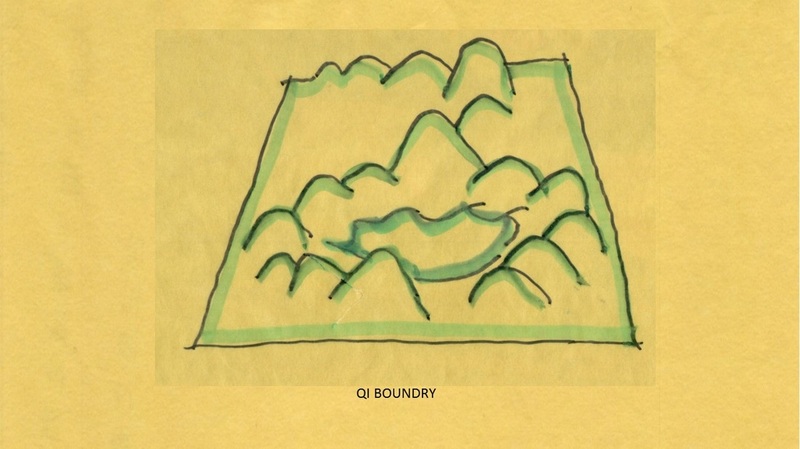 In geomancy land form, the boundary is usually defined by the embrace of the mountain or the edge of the river. It defines the boundary of Qi. Gateway is a marker be it a building, an arch, a totem or any significant structure that allows you to recognize that you had indeed enter the district or you are now going into a different neighborhood or you can recognize the direction in which the main path leading you into the district. Similarly, it can also denotes a gateway informing you that you are leaving the boundary of a district. Similar to a concept in Geomancy is the ability to first identify where is the high and low lands. The highlands are where the rivers begin. The low lands are where the rivers end. The highland is where Qi is incoming. 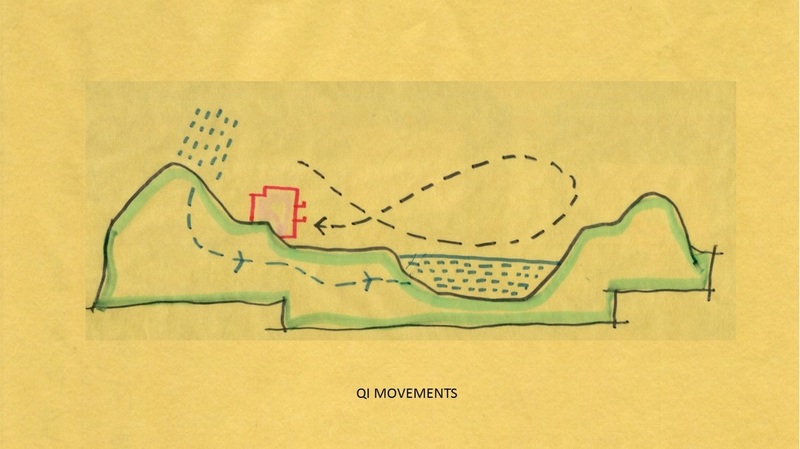 The low land is where Qi is outgoing. 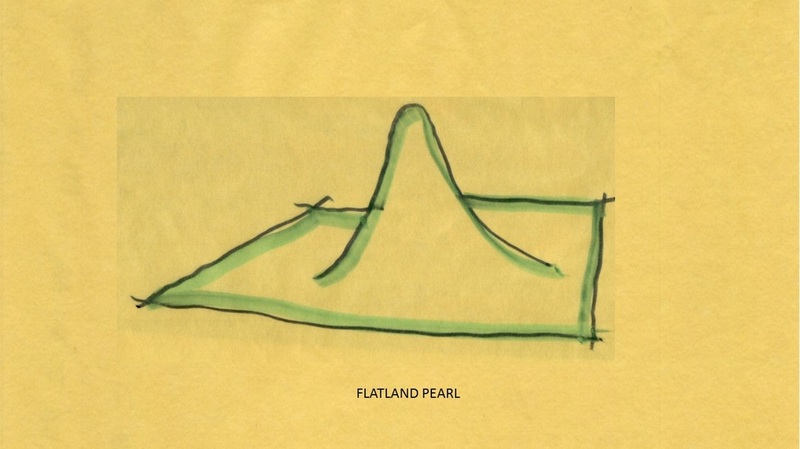 Without such identification, you are not able to determine the Qi map of the place. From the gateway, is usually the high roads leading inward into the town hall. As the roads are busier, buildings are built fronting these roads with pathways and shelter from the element. These buildings define the edge of the road. 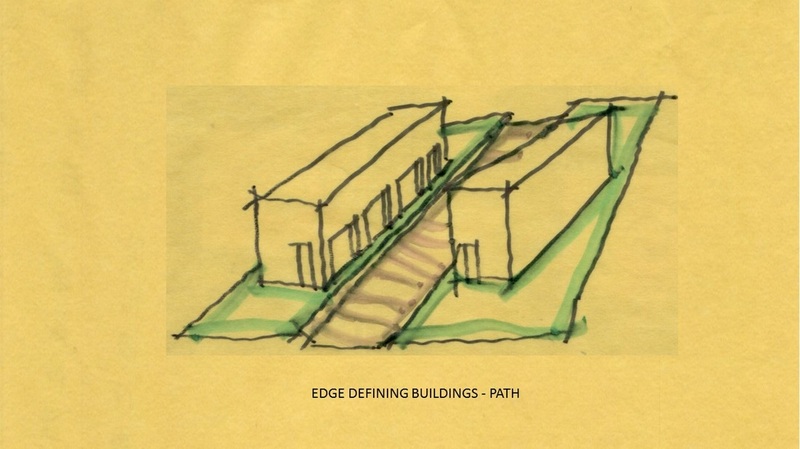 In three dimensional, these buildings act liked a conduit, a pathway toward a single direction. They are usually characterless or rather insignificant in terms of architectural treatment. They may also be repetitive. These buildings are called edge defining building and the roads are called avenue or boulevard. When you identify the incoming and out going Qi, you must also identify its path. These are called "rivers" and "mountains". The solids are mountains and the voids are rivers. The geomantic jargon is called Direct and Indirect Spirit. Such ensure that how Qi moves within the entire town and to give choices for FengShui master to decide where to receive Qi first either from where it begins or where it ends. When many paths meet, this is where it becomes a node. Together it is called Nodes and Paths. 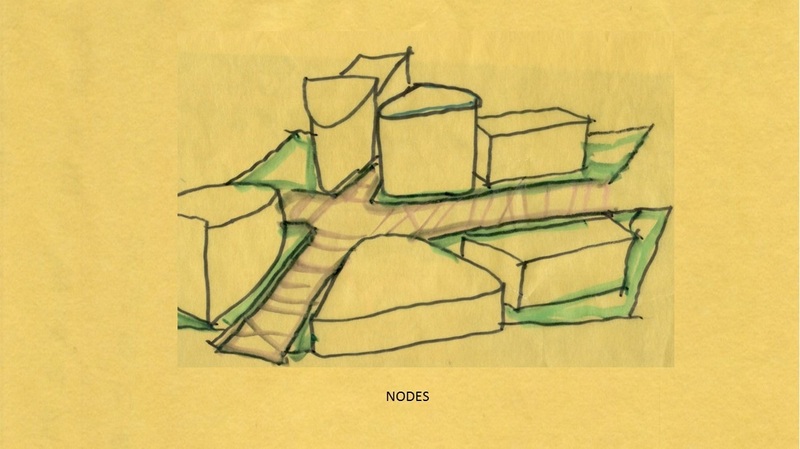 These nodes are the open Plaza, Piazza or simply an open space or a square surrounded by buildings of significant importance such as a town hall, a magistrate court, a market square or the governor house. A node is where administrative or academic institutional buildings are located. 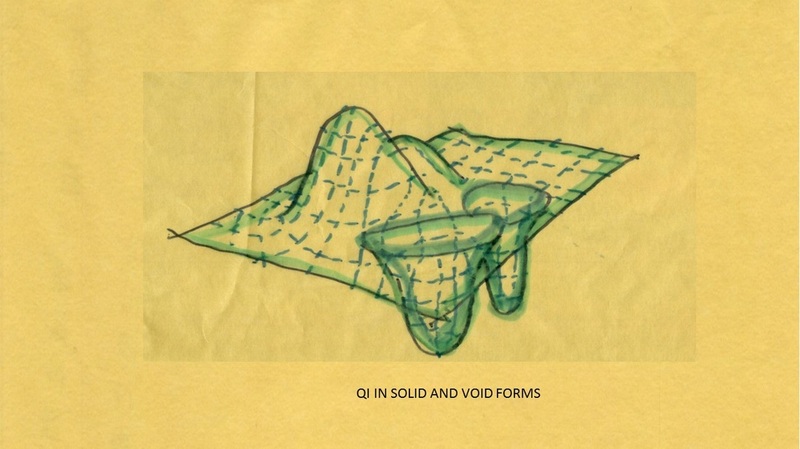 In the perspective of solid and void, the voids are container of Qi and the solid is the vessel of Qi. 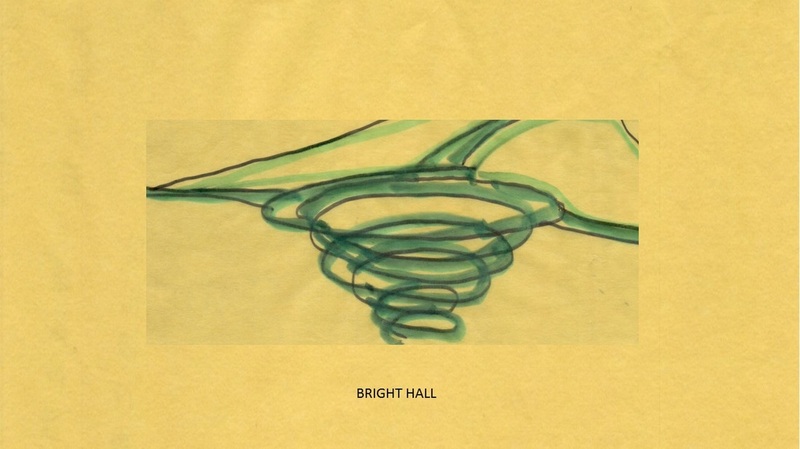 Being the container it is known as bright hall. A bright hall is where all Qi will coagulate and all malignant Qi or growing Qi will be neutralize. A good FengShui practitioner would able to channel such Qi into the building. Is a sort of structure with significant impact. 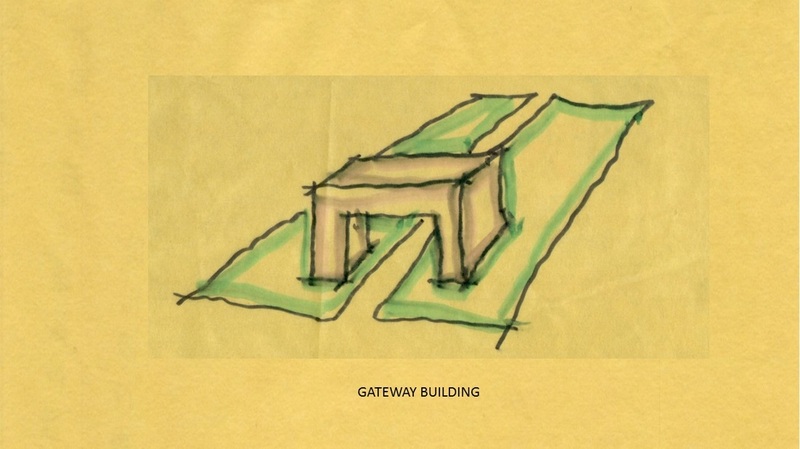 It is a marker to a district, gateway, nodes and path. Building of such stature is known as Beacon Building. It is a beacon easily identify by the users. 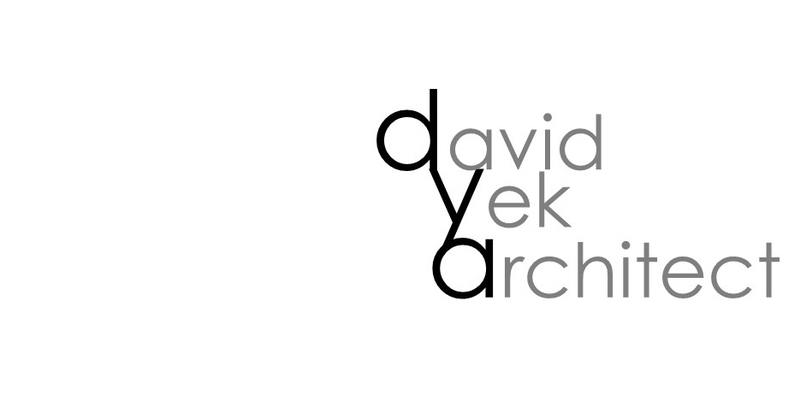 It is therefore iconic either in design, sizes, colors or otherwise form. There is a saying, in flatland dragon, a protrusion is worth a thousand teals of gold. What it meant was when Qi is scattered, a mountain within the vicinity will draw Qi towards it. 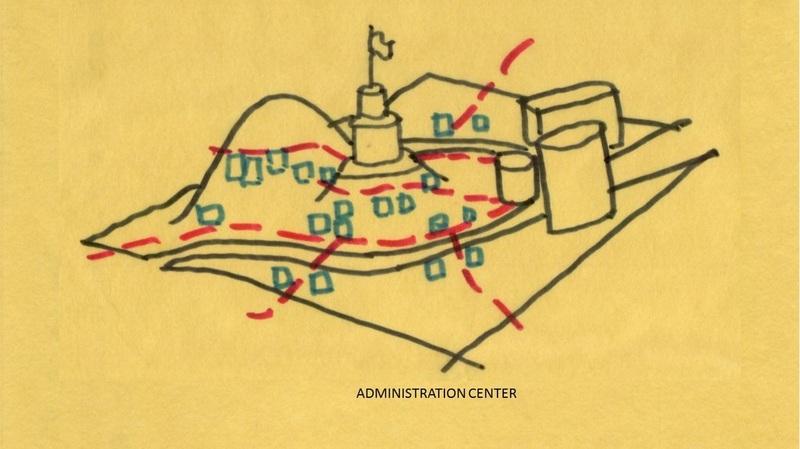 Similarly in a urban context, within the plaza the highest or tallest building will be the chief and a Qi will be diverted towards that direction.